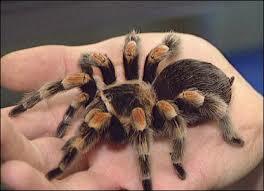 There are about 30 different kinds of tarantulas in the U.S. Most are found in the southern states. The bite of a tarantula is painful but not dangerous. Some species have the ability to shoot hairs as a defense mechanism the hairs can be irritating. Tarantulas build burrows in the ground and then ambush prey. They will feed on any kind of insect or even small rodents. 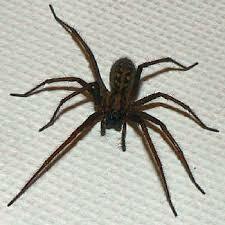 There are about 100 species of wolf spider in the U.S. They can be intimidating because of the large sizes they can reach, up to 35mm. usually black in color; they are also brown and spotted. 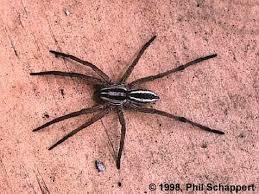 Wolf spiders hunt large insects and run quite fast on the ground. They have burrows in the ground and usually leave at night to hunt prey. Sac spiders are yellow in color and build a sac like structure where they hide in the daytime. There are only two species of sac spiders in the U.S. but it is thought that they are responsible for very high percentage of spider bites inside homes. It is not known if the bites can become serious. They are about 4-10 mm in size. This spider gets its name from the fact that they can jump to get to their prey. They are small about 4-10 mm. 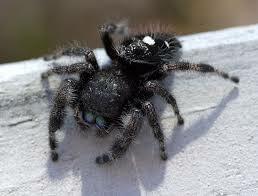 Jumping spiders have large eyes and a “fuzzy” appearance. Some have red on their back which can be mistaken for black widow markings. They are harmless to humans and can be found indoors. House spiders are found all over the U.S. and the world. 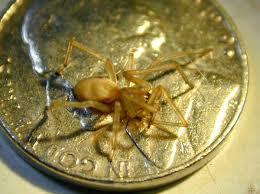 They are the most prevalent spider in homes and structures. The webs can become a nuisance if not removed on a regular basis. They are about 5-8mm in size and are brown or black colored.